Consider Erin Jeanne McDowell the baking version of a fairy godmother. Only, instead of transforming mice and pumpkins into a horse and carriage, the cookbook author revamps humble banana bread into a triple-decker caramel-coated layer cake. With her cookbook, The Fearless Baker (Houghton Mifflin, 2017), Erin helps anxious bakers face their fears and enables them to mix their own creativity into their batters. 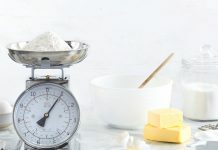 “People think that baking is too science-heavy to really play with, but if you go into it with the right tools and information, a home baker can make any recipe suit their whim or fancy,” Erin says. Get a glimpse of Erin’s genius with her three ways to supercharge your plain Jane sheet cake. PLAY WITH SHAPE: Cut the sheet cake in half and make a quick two-layer cake or use a 3-inch cookie cutter to cut out small pieces of cake to stack into mini layer cakes. ADD FREEZE-DRIED FRUIT: Freeze-dried berries and fruits bring intense flavor and a burst of color to cake without affecting the texture. Stir right into the batter or frosting to bring in that fruitiness. 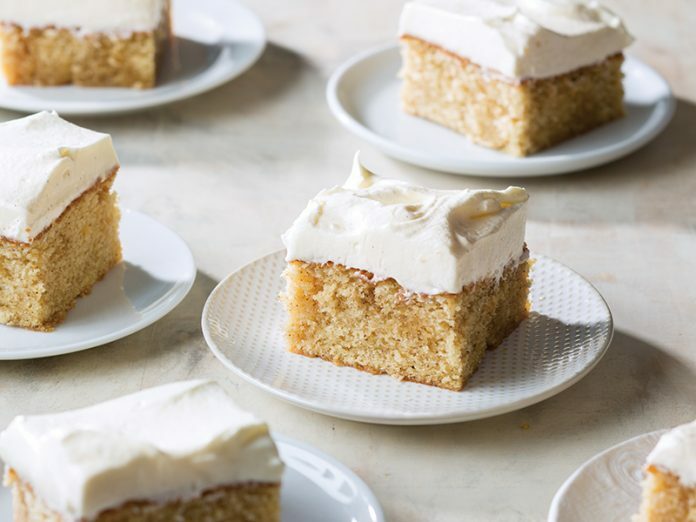 MAKE IT A POKE CAKE: Take a cue from tres leches cake or the retro Jell-O cakes of old. 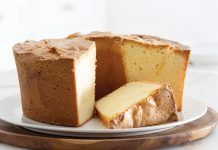 Prick holes all over your cake, and pour over a thick liquid (think something with the viscosity of syrup) to introduce a creamy texture and a new flavor. 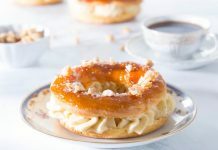 Try honey, sweetened condensed milk, or dulce de leche.